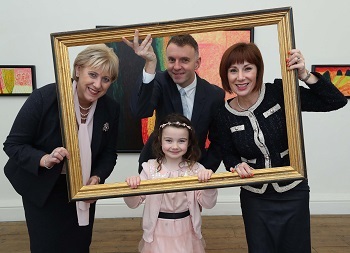 Business to Arts, in partnership with the Creative Ireland Programme’s National Creativity Fund, are seeking expressions of interest from businesses that would like to develop new (or significantly enhance their existing) CSR activity through the Artist-in-Residence (AR) Programme. The AR Programme will cover a broad spectrum of activity and opportunities for artists and companies. Host companies will offer artists a working environment or a structure for engagement with their organisation’s CSR Programme and a selected local community organisation. Up to €7,500 will be provided for the creation (or enhancement) of three AR Programmes in a Corporate Social Responsibility context. Selected programmes must involve a minimum of eighteen-months of community engagement, staff engagement or work-place creativity activities by the host companies and artists. Priority will be given to AR Programmes where a significant portion of the associated activity occurs in regional areas. The FAQ document can be accessed here. To submit an expression of interest, please complete this writable PDF, and submit it via email to Eileen before the deadline of Friday, 15th February 2019. A Word version of the application document is available upon request. For all queries relating to the AR Programme, please contact Eileen.